One Wedding, Two Brides… Three Chances to Win! ONE WEDDING, TWO BRIDES releases tomorrow—squee!!! 😃💃🕺—but today is the FINAL DAY to enter the “One Wedding, Two Brides, Three Chances to Win” Contest! On Wednesday, I’ll announce the five (5) winners—three (3) will receive Kissy-Lip Chip Clips + a signed book…two (2) will get their choice of one of my “Chicks with Sticks” titles + a $10 Amazon gift card…& one (1) winner will receive a gift basket full of fabulous goodies, including a Hula Dancer Nightshirt (just like the one Monice wears in ONE WEDDING, TWO BRIDES! 😀), a Kissy Lips goblet filled with Hot Lips sweet cinnamon candies, coconut sparkling water mix, watermelon-key lime fizzy drink mix, a set of Kissy-Lips chip clips, “Looking for a few good Princes…” cocktail napkins, an engagement ring ice cube tray, a “I try to live simply, but DRAMA just keeps following me around!” notepad, an adorable frog prince figurine, & a $25 Amazon gift card! One Wedding, Two Brides …Three Chances to Win! 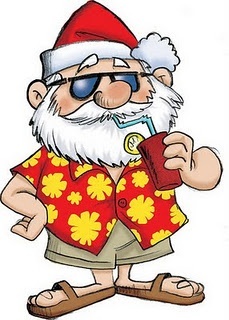 Time to announce the winner of our fourth & final “Christmas in July” Free Book Friday giveaway! Congratulations, Anne!!! 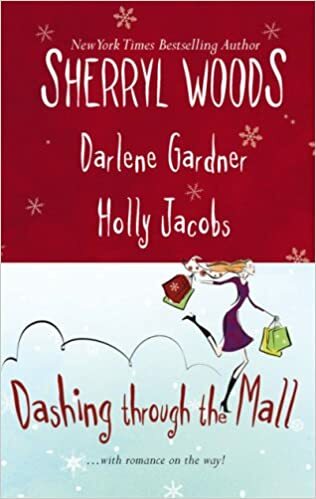 You are the winner of this fun & romantic Dashing Through the Mall anthology, with stories by Sherryl Woods, Darlene Gardner, & Holly Jacobs! Please contact me with your full name & mailing information so I can get your prize in the mail! Holly—if you’re out there & are still interested in this book, please be sure to contact me asap with your snail mail address. Otherwise I’ll toss it back on the pile for a future giveaway.